Add Body Language To Your Handicapping Skills To Win More & Lose Less! Don't rely on what the computer generated picks say! Watch the Horses from your TV or at the track and they will tell you who has the best chance of winning TODAY! Use it to confirm your pick or use it to eliminate your pick. We are so pleased to have the opportunity to be able to give you a second chance to see the Body Language of the Race Horse. This is the missing link to thorough handicapping of any race. Body Language is only used by about 5% of the most successful handicappers yet so simple that anybody can master and use it. You use these Body Language observations to “Win More and to Lose Less”. Register at the end of the Webinar and get Body Language Ratings for the full day's card at Del Mar for Sunday the 26th just for watching the Webinar, FREE! Join the Webinar, I guarantee it will be an hour well spent! Ross Shiraki. "Saturday the first race I bet, I noticed a horse with dappling during the parade and two other horses that looked fit. I bet a $2WP bet and a $.50 trifecta. 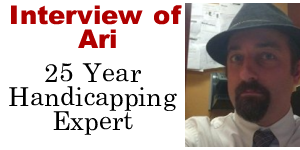 I hit a 19-1 without handicapping for a nice $55.00 payday which almost never happens." Rod Young (Turfdom) . "On a scale of 1-10 I would rate this product a 9.5. It is the one link in handicapping that 97% of the players know very little about. If you want to improve your game, and who doesn’t, this webinar is well worth your time. You will WIN more and LOSE less often, I guarantee it. Help remove the "guesswork" when it comes to Two Year Olds and Maidens! He is looking for Value! Use Body Language to spot Value! Use Body Language to overcome the 20% Take Out to achieve a "Profitable Edge"
Hear from the expert how he increased his ROI by 300%! Your Identity is safe with us and we will not spam. You may receive multiple e-mails that keep you informed about the Webinar and Replay. You may unsubscribe from those sent after the Webinar so please do not mark any of them as spam. Copyright 2017 Professional Journal Inc. and Body Language Handicapping Webinars - Part of the Professional Journal Family - All rights reserved.